Head to Copper Bottom Brewing and jump on the 1st ever PEI Craft Beer Bus Tour! Starting at 11:00am (it’s a big Island) you and 40 of your new best friends will visit every brewery on PEI (don’t worry, there are washrooms on the bus) to enjoy a sample and to learn a bit more about each unique brewery. 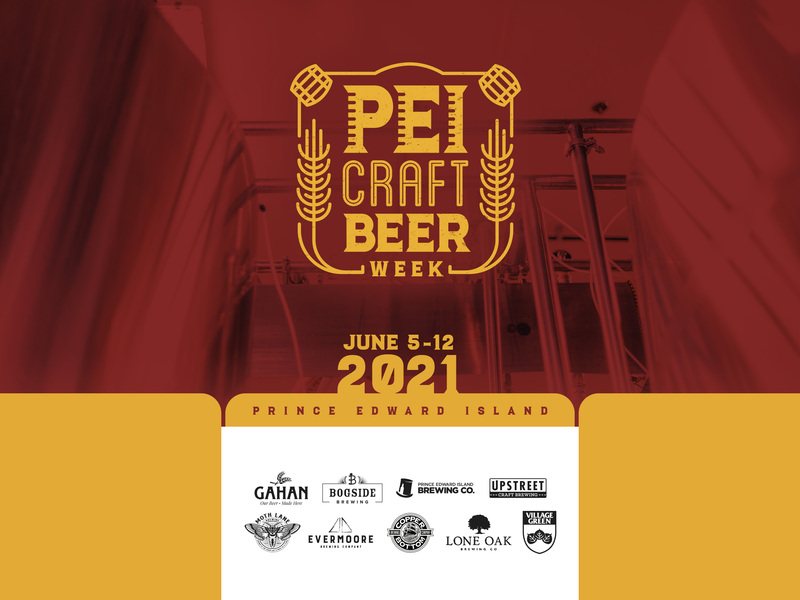 This one of a kind experience includes a sample at each brewery, lunch and a limited-edition PEI Craft Beer Week t-shirt. This is the perfect way to check off a few stops from your summer bucket list, on June 1st! $50 per person + tax and service fees. Head to the Upstreet Craft Brewing and jump on the 1st ever PEI Craft Beer Bus Tour! Head to the PEI Brewing Company and jump on the 1st ever PEI Craft Beer Bus Tour! $50 per person+ tax and service fees. Head to the Evermoore Brewing Co and jump on the 1st ever PEI Craft Beer Bus Tour! Head to the Moth Lane Brewing and jump on the 1st ever PEI Craft Beer Bus Tour! Enjoy Soul Filter after your adventure on the PEI Craft Beer Bus, or just stop by to celebrate PEI Craft Beer with live entertainment. We’re a stop on the PEI Craft Beer Week Bus Tour! All buses will be making their way to us throughout the day for a sample and to enjoy our beautiful new facility in Montague! Tickets are available HERE for $50 per person+ tax and service fees. All buses will be making their way to us throughout the day for a sample and to enjoy the beautiful views of Rose Valley, PEI! Enjoy a delicious brunch paired perfectly with our core beers. Enjoy a delicious meal with a unique beer-inspired brunch menu. Enjoy brunch and beer specials, because…Sunday. The Sunday after your Craft Beer Bus Tour calls for one thing: Beer and Brunch! Join us on June 3rd for our take on Open Brewery Day. We’ll be serving up All Day Breakfast Handpies, running free brewery tours throughout the day, and featuring live entertainment with Hailee LeFort and Ward MacDonald. The one day we won’t judge you for showing up to a bar in sweatpants. It’s Movie Day at the PEIBC Taproom! This free event will have popcorn and your favourite movie snacks for sale. The movie that we play will be based on an Instagram story vote a few days before! Brewer’s Brunch and Open Brewery Tour Day at Bogside! Explore our brand-new facility and learn about what it took to get us up and running! Also, indulge in a delicious brunch inspired by local food and PEI Craft Beer! We’re opening reserved bottles of our cellared Million Acres line for one day only! Come in and enjoy a pour of a rare favourite. Join us for a great opportunity to stretch, relax and get in some social time at the beginning of the week! Chloe is a great yoga instructor who created the perfect warm atmosphere for all to enjoy! $14 gets you a 45-minute yoga session and a social beverage after. $10 if you just want to join in on the yoga! Classes are great for all experience levels. Pay at the door. Enjoy staff priced Gahan beer pints all day! Games night to kick off your week right! Stop by the barn and bring your crib board and games. Games are is always more fun with friends and a delicious craft beer. Enjoy staff priced pints! Try some of our new beers, or any of the other PEI craft beers we have on tap. Explore our production facility and cellar and discuss the brewing process with Mark our brewer! Limited capacity, so get here early! This isn’t just hops and malts. Our trivia features questions about everyone’s favourite beverage in history, pop culture as well as testing your knowledge on all things beer. Enjoy beer specials and all your favourite vinyls. Bring in your own and we’ll spin them for you! Drinking and axe-throwing, what could possibly go wrong? We’ve teamed up with Axes Eh? Mobile Axe Throwing to bring you Montague’s first axe throwing tournament! Drink some beer, toss some hatchets, win some prizes. No advance signups, come early to ensure your shot at hitting a bullseye! Games Night at the PEI Brewing Company is like any other. From board games to ping pong the game selection in our Taproom is unmatched. Plus: pitcher & platter specials will be available all night long. Lots of music and craft beer, the perfect pick me up after two days at work! Local/ live entertainment from 8pm – 10pm with staff priced pints! Go Devil American IPA is back, and we’re celebrating with a spicy special and a fiery lineup of wings - can you take the heat? Make a reservation for this perfectly paired evening of food and beer with your favourite Summerside restaurant, OpenEats. This 4-course meal is crafted to perfectly blend with Evermoore Brewing Co. core beers and seasonals. Cheers to a great meal and supporting local! If you’ve been wanting to flex your brain, drink some beer, and win some seriously good prizes, then join host Logan Roche on Wednesday, June 3rd to put your wits to the test. Beer-focused trivia, but with a healthy dose of topics ranging from music, pop culture, and general knowledge. Need to showcase your musical talents to the world? Join us for Open Mic Night with Lawrence Maxwell! Check out our open kitchen, chat with Chef Dave Mottershall and enjoy a sampling of culinary delights coming out of our smokehouse paired with fresh beer from our taps. It’s about time that Upstreet Craft Brewing and the Gahan Brewery made a collaboration beer! Join them on a historical walking tour with samples of core beers from both Gahan & Upstreet, plus you’ll be one of the first to enjoy a full pint of About Time Dry Hopped Brett, their collaboration brew at the end of the walk. While roaming from Gahan House to Craft Beer Corner, you’ll learn from Experience PEI about the history of beer in Prince Edward Island. The Good, The Bad and the Prohibition. 6:30pm - Meet at Gahan House (126 Sydney Street) to enjoy a sample of Gahan & Upstreet brew. 7:00pm - Walk through Historic Charlottetown learning all about the history of beer on PEI. 7:30pm - Craft Beer Corner (ribbon cutting ceremony) + enjoy a full pint of About Time: Dry Hopped Brett (brewed by Gahan & Upstreet brewers). We can’t wait to see you all, it’s about time! Trivia, done crafty. The theme of this trivia is all about beer. Think you know it all about craft beer? Start studying now! Pizza + Vinyl + Craft Beer. Every Thursday this Summer! Each week we’ll be featuring a rotating cast of DJs to come in and spin records from their own personal collections, bringing their own vibe and unique sound to the evenings through a range of genres and musical styles. Providing the pizza every Thursday: Fatta A Mano, PEI’s only popup pizza joint using 100% PEI ingredients & sourdough crust. Spend your evening with us enjoying good ol’ fashioned trivia and your favourite local craft beer. Taproom Trivia is always a good time with food and drink specials, plus tons of beer questions. Just for PEI Craft Beer Week we’ll have bonus prizing like PEIBC swag and a $100 Murphy Hospitality Group gift card! It’s our tradition: we open up on Thursdays, you come with growlers and enjoy a pint while overlooking beautiful Rose Valley. Enjoy the best of both worlds in Montague - Catch the King and Trivia, plus beer of course! Enjoy as many local breweries beer as we can get our hands on! Local Beer + Local Music: Nathan Wiley at Evermoore Brewing Co.
Nathan Wiley is a musician with a vision. And that vision comes into sharper focus than ever on his third album, The City Destroyed Me, a collection of thirteen tracks penned over a solid year of writing by Wiley, culled with the aid of his producer, Steve Berlin. Hailing from Summerside, PE, Wiley first earned acclaim for his 2002 debut Bottom Dollar, picking up an East Coast Music Award (ECMA) for Alternative Album of the Year in the process. He made good on the promise of that release with the ECMA-winning follow up High Low two years later. His blend of classic sounds with a modern, slightly world weary perspective struck a chord with listeners, as songs full of subtle melodies and lyrics addressing those unquenchable yearnings inside all of us wormed their way into their ears. New Beer Release + Food Pairings from Sneaky Cheats! The perfect combination- creative beers and hilarious comedians. Celebrate the end of a long week with a laugh. This comedy night hosted by Taylor Carver will be the first ever Casks & Comedy Night at the PEI Brewing Company Taproom. Your ticket will include three cask samples and stand up performances from local comedians. Comedic lineup will be released soon! The work week is over and Chef Dave Mottershall is firing up the BBQ with a selection of delicious PEI pork prepared for a party. Plenty of beer to pair with food. Local Beer + Local Music: Andrew Waite at Evermoore Brewing Co. Inspired by a range of artists including Dan Mangan, Glen Hansard and Bruce Springsteen, Waite has been steadily growing a fanbase following his Breakout Stage performance at the 2016 East Coast Music Awards. Subsequently, he has played the ECMA Rising Star and Bluebird North stages and was the selected PEI musician for the Atlantic Songwriters Tour presented by SOCAN and the Atlantic Presenters Association. Opening for Andrew Waite is the Brad Milligan Band. 19+ / Please drink responsibly. With a fam this talented, who needs to look anywhere else for an awesome day of live music? The Upstreet Family Rockshow lineup features the Upstreet staff in their various bands, doing what they love: playing great music and drinking great beer. No cover. Since first forming in February 2014, Amanda Jackson Band has performed as both the full five-piece band as well as the original trio. They’ve shared their music on such stages as Harvest Jazz & Blues Festival, Dutch Mason Blues Festival, Rock the Boat Festival and the Watermark Theatre Classic Music Reignited series. In October 2017, the trio had the prestigious opportunity to open for the legendary Buffy Sainte-Marie. They also played host to the successful Amanda Jackson Band & Friends Concert Series at the historic Haviland Club which featured favourite East Coast artists including Erin Costello, Ross Neilsen, Nudie and many more. $20/ Show seating (first come, first serve) at 730pm. Music at 8pm. Local Beer + Local Talent: A tip-to-tip Island Tap Takeover featuring brews from all PEI breweries including Upstreet, PEIBC, Moth Lane, Barnone, Evermoore, and Bogside! Country tunes from Lawrence Maxwell Duo. No cover. Join us for live music with Hatley Basement, delicious Moth Lane beer and more! No cover. Live music to kick off your afternoon in the Taproom! Artists will be announced soon. Grab your best pals and head out for an amazing night at the PEI Brewing Company…this is the best night of the month for fun, creativity and community! This is the season finale of Art Battle and tickets are available at www.peibrewingcompany.com. 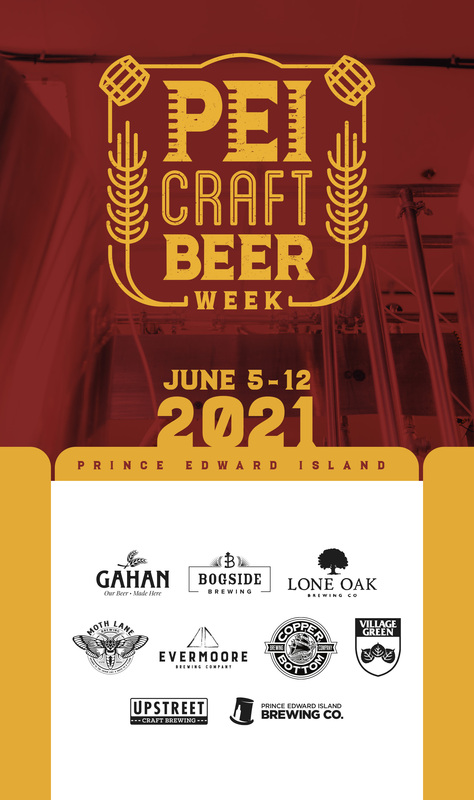 Join us back in Rose Valley, we’ll be serving up pints in coral to tip our hats to the last week of the first annual PEI Craft Beer Week. Meet us at the market! Grab a growler of an old favourite or new seasonal. See you there!